Diana Jellinek (Technique Series, Shakespeare) has been an acting coach and actress for more than 20 years. She has an MFA in Acting from Rutgers University and trained at San Diego’s Old Globe Theatre and London’s Royal National Theatre Studio. Formerly a company member and teaching artist at the renowned Shakespeare Theatre in Washington, DC, under the direction of Michael Kahn (Director of Julliard’s Drama Division), Diana has performed in more than 40 theatrical productions off-Broadway and on regional stages, and has dozens of film, TV, and commercial credits. 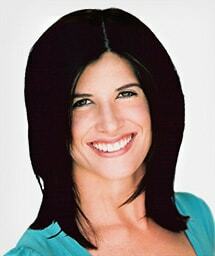 Diana has appeared as an acting and voice coach on TV shows such as The Adam Carolla Project, Character Fantasy, and DanceLife. She is a member of the Board of Directors of the Santa Clarita Shakespeare Company and coaches executives on their presentation skills for Marketing Labs, Inc.